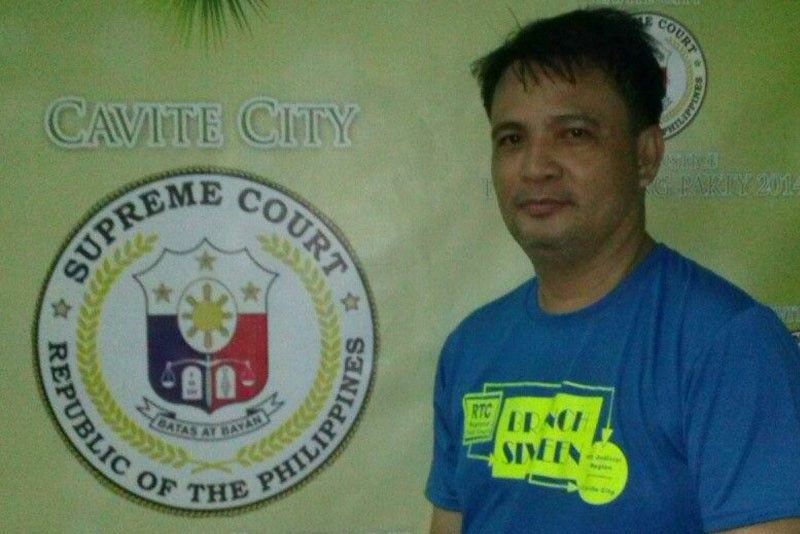 In a six-page decision released by the SC public information office yesterday, the high court ordered the dismissal from judicial service of Cesar Calpo, a stenographer of Cavite RTC Branch 16, after finding him guilty of grave misconduct and serious dishonesty. MANILA, Philippines — The Supreme Court (SC) has cracked the whip on a stenographer in a Cavite regional trial court for falsifying a decision on an annulment case. Apart from dismissal, the SC also ordered the forfeiture of all benefits for Calpo, except accrued leave credits. Calpo was also slapped with perpetual disqualification from reemployment in civil service without prejudice to the filing of appropriate criminal and civil cases. “[Calpo’s] actuations clearly demonstrate an intent to violate the law or a persistent disregard of well-known rules. Respondent deceived complainant into believing he had the power to obtain an annulment order in complainant’s favor. Receiving money from complainant, on the consideration that he can obtain a favorable decision from the court, falsifying a court decision, and forging the signature of the trial judge, undeniably constitute grave misconduct and serious dishonesty,” the Court stressed. The administrative case against Calpo stemmed from the complaint of Zenmond Duque of the Philippine Coast Guard. Duque told the Court that Calpo voluntarily offered his services in 2010 to help secure an annulment of his marriage for P150,000 paid in three equal installments. This was evidenced by receipts signed by Calpo. A year later, Calpo gave Duque a decision purportedly issued by Executive Judge Perla Cabrera-Faller of the Regional Trial Court (RTC), Dasmariñas Cavite, Branch 90 granting the annulment of Duque’s marriage. Duque, however, subsequently learned that there was no such case and that the judge had not issued any such decision as her signature on the decision was a forgery. The Court adopted the findings and recommendation of the Office of the Court Administrator and the investigating judge. In a related administrative case, the SC has suspended a lawyer who failed to file a petition for annulment of marriage despite receiving payment from her client. In a separate seven-page decision, the SC found Grace Buri guilty of violating several canons of the Code of Professional Responsibility and imposed on her a two-year suspension, with a stern warning that a repetition of the same would be dealt with more severely. The Court also ordered Buri to pay P5,000 fine for failure to comply with the directives of the Integrated Bar of the Philippines (IBP)-Commission on Bar Discipline and to return to complainant Pia Marie Go the P188,000 in legal fees within 90 days from the finality of this decision. Go engaged Buri’s services in 2012 to file a petition for annulment of her marriage before the RTC of Muntinlupa for P150,000 as “package engagement fee” and professional services. Subsequently, Go asked Buri to “hold” her case as she had to deal with various personal problems to which Buri allegedly withdrew the petition for annulment supposedly filed before the RTC. When Go decided in 2015 to push through with the annulment, Buri asked for an additional P38,000 for the re-filing of the case. Despite several demands, Buri failed to furnish Go with copies of the original and the re-filed petition for annulment and to issue receipts for the money Buri had received. Upon verification with the Office of the Clerk of Court of the RTC, Go learned there was no petition filed by Buri on her behalf prompting her to file the instant administrative complaint against Buri. The SC also ordered Buri to return the P188,000 she received as legal fees to the complainant.